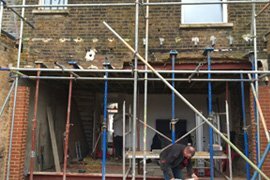 If you are looking for reliable general builders in East London and Essex, you’ve come to the right place. 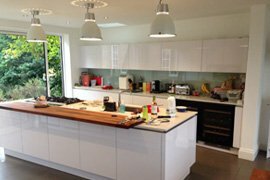 25 years of experience in the construction industry in Essex and Greater London gives Nick Spenwell and his construction company a wide and deep knowledge of what is possible in building, renovation and refurbishment services. There are many reasons to call Spenwell General Builders, and we want to assure you of our broad experience and professionalism whether it’s an emergency or a long-term renovation project. 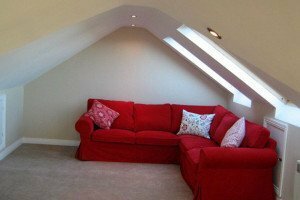 We offer a complete service, taking care of each phase of any project we undertake until its completion, and working with efficiency and speed to ensure you are satisfied with the end result. Finding realiable general builders in East London and Essex is important when looking for the fastest, most personalised service in your community. You’re going to want a builder near you when it comes to an urgent repair to your roof or when something goes wrong with your electrical wiring. And if you’re looking to retile your bathroom or refurbish your kitchen, you’ll want the finished look to be polished and refined, a service we can guarantee because of our many years in the business. Spenwell Construction are proud of their track record across a host of skills from extensions and house refurbishment to electrics, landscaping and driveways, and greatly look forward to hearing about what you might have in mind for your own home or premises. We service many areas in London and Essex, including Romford, Dugenham, Chigwell, Woodford, Ilford, Brentwood, and East London. If you’re looking for general builders in East London that you can trust, please give us a call or send us an e-mail and let us help you with your construction needs, whether you want to discuss options or already have a detailed vision in mind. Safety is a top priority in all our work, and we are fully compliant and up to date with all required safety and regulatory standards. We will do our best to turn your construction dreams into a reality while maintaining solid principles of safety and durability. For over 25 years Spenwell Construction has been based in Romford, Essex and at the heart of community life there. You might know of us already! Spenwell Construction takes great pride in carrying out projects efficiently, honestly, and with quality workmanship. It couldn’t be any other way. Give us an opportunity to show you what the Spenwell promise is all about.